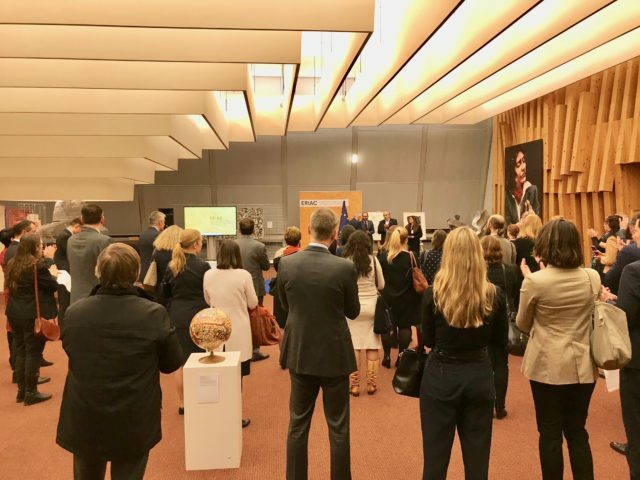 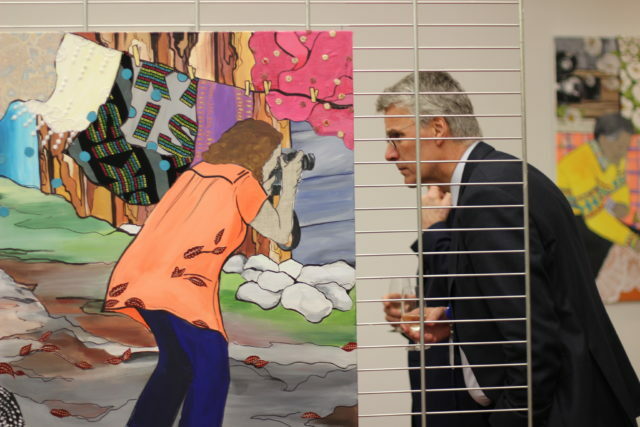 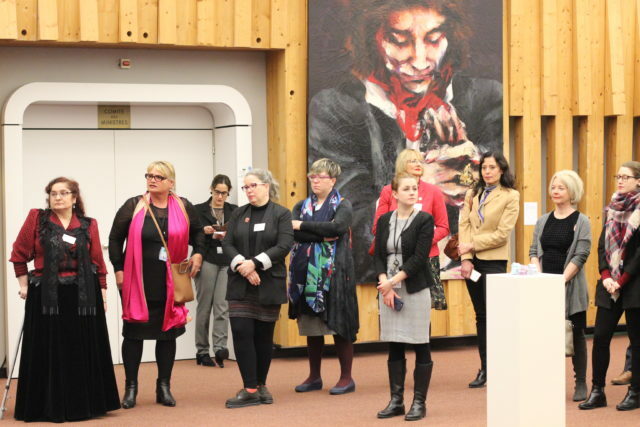 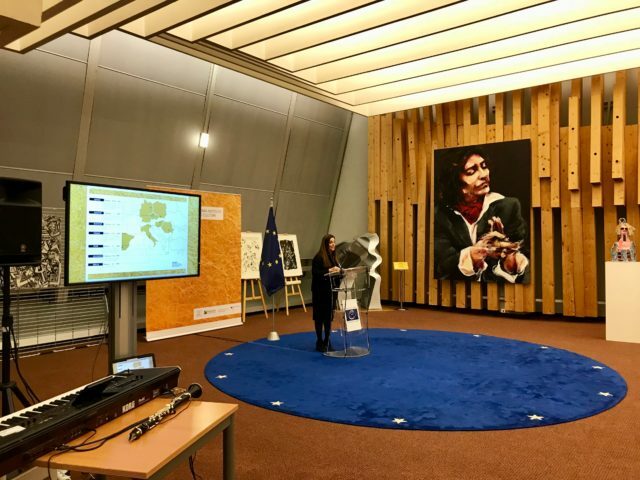 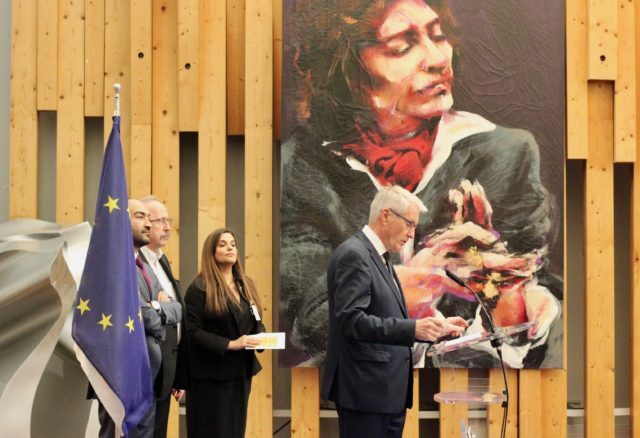 On March 13th, the European Roma Institute for Arts and Culture (ERIAC) presented the exhibition “Hidden Roma Masterpieces” at the Palais of the Council of Europe. 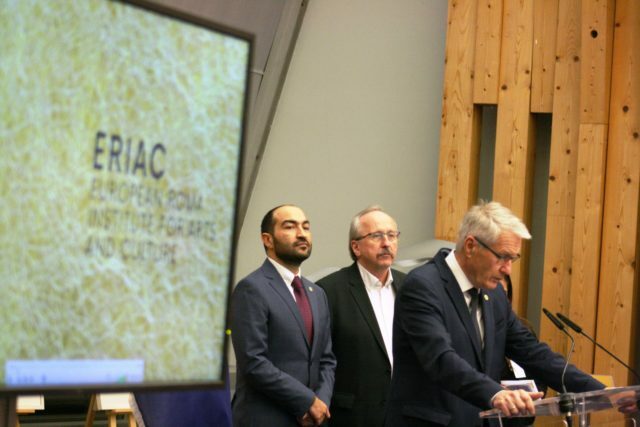 The exhibition, curated by ERIAC, was co-organized in collaboration with the Council of Europe and the European Parliament. 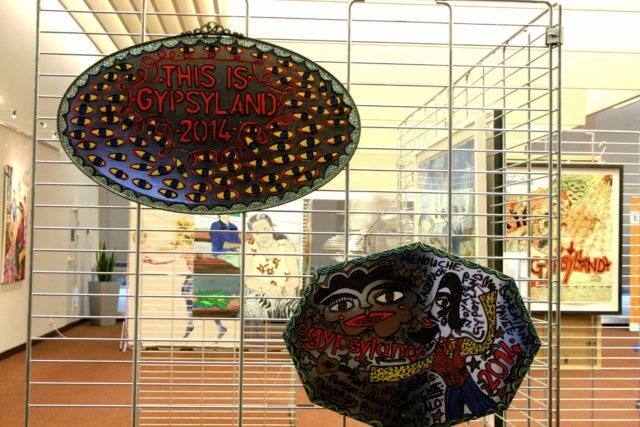 In the second part of the twentieth century, Roma writers, artists, and creators who were using art as a language of self-representation were finally allowed into the mainstream discourse. 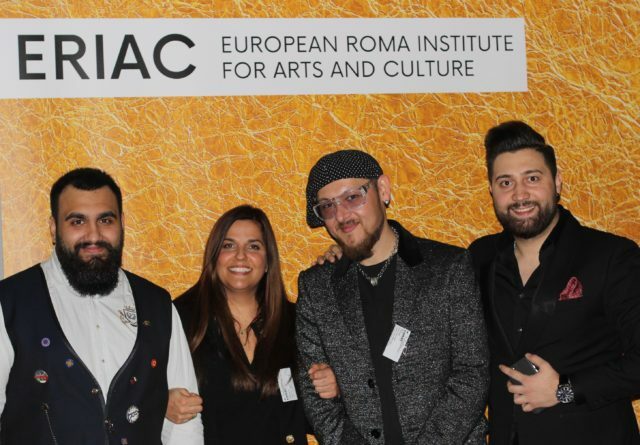 After the first World Romani Congress in 1971, Roma visual artists began to claim recognition as a group. 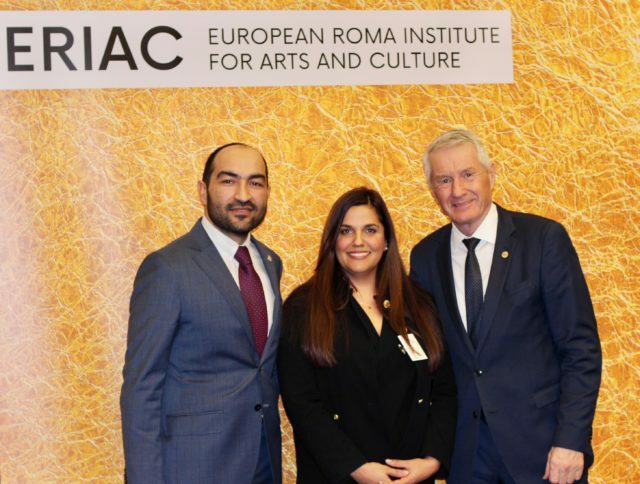 Until this time, Roma artistic productions were represented as not being the work of individual authors, but rather as collective facts of nature, which only became a concrete representation when they were in some way presented by art collectors or folklorists. 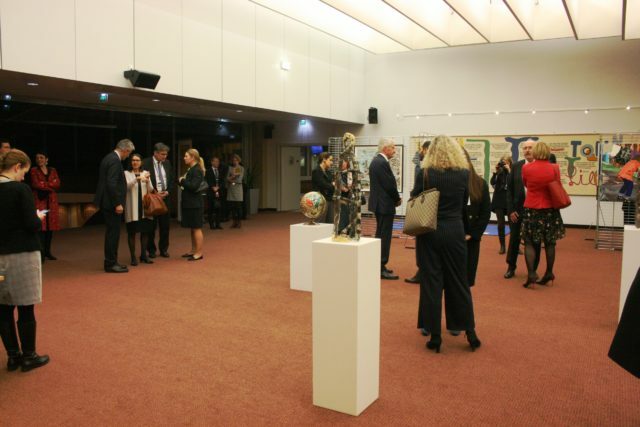 The “Hidden Roma Masterpieces” exhibition in the main building (Palais) of the Council of Europe, curated by the European Roma Institute for Arts and Culture (ERIAC) and co-organised by the Council of Europe and the European Parliament, demonstrated that over the past four decades, Roma contemporary art has been one of the most effective means for transmitting the genuine and subjective experience of Roma identity. 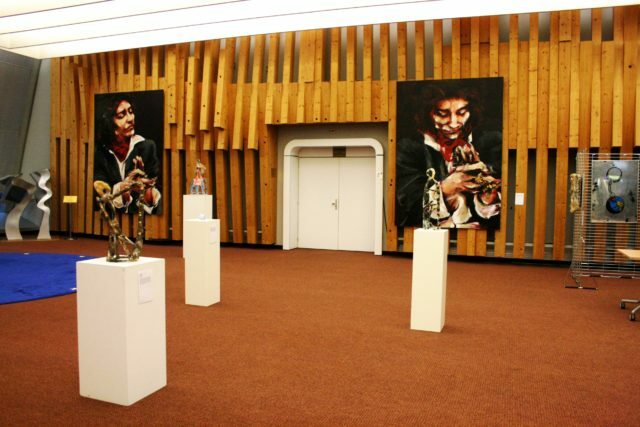 Through their creations, Roma contemporary artists communicate clearly and powerfully while at the same time regain a voice as subjects rather than objects of inquiry of others. 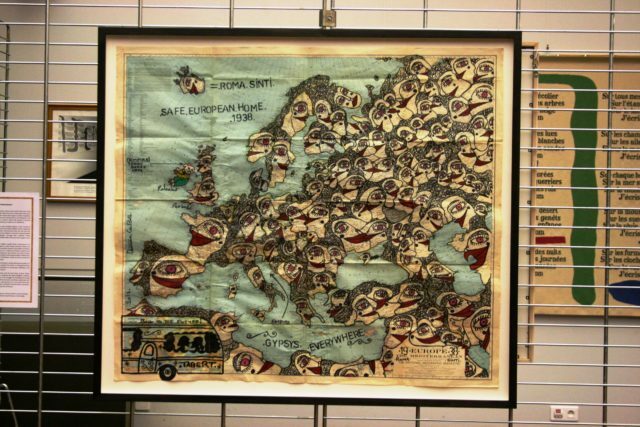 The exhibition presented a curated selection of the highest quality Roma contemporary art products from around Europe. 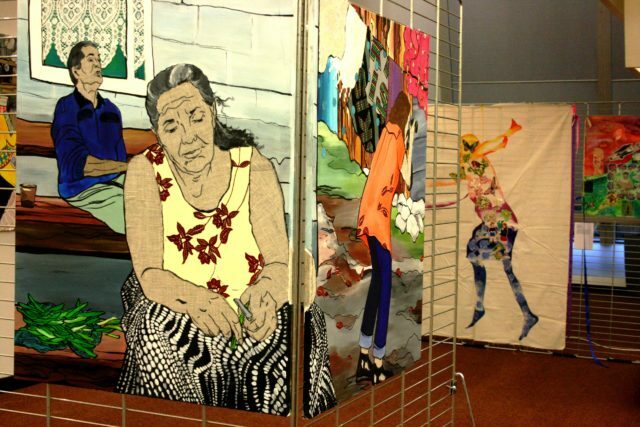 The paintings, sculptures, mixed media artworks, videos, and textiles represent the Roma cultural heritage which currently remains inaccessible and hidden from the audience. 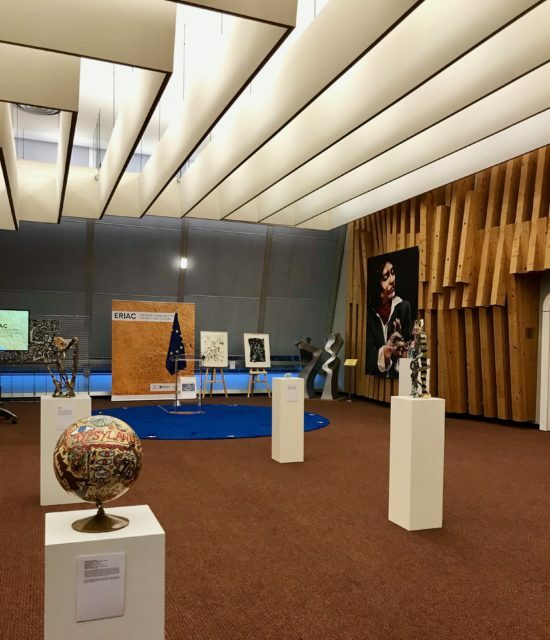 At present, Roma contemporary art is collected, archived, acquired and studied by several major public institutions, state museums, and archives but most of these artworks are still invisible: stored in the basements, archives and storage facilities. 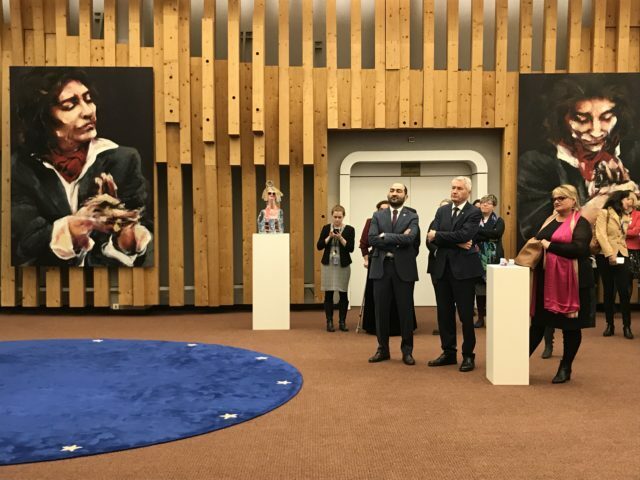 While there are thousands of Roma artworks preserved in state institutions, rarely are they presented in permanent exhibitions of majority institutions in Europe. 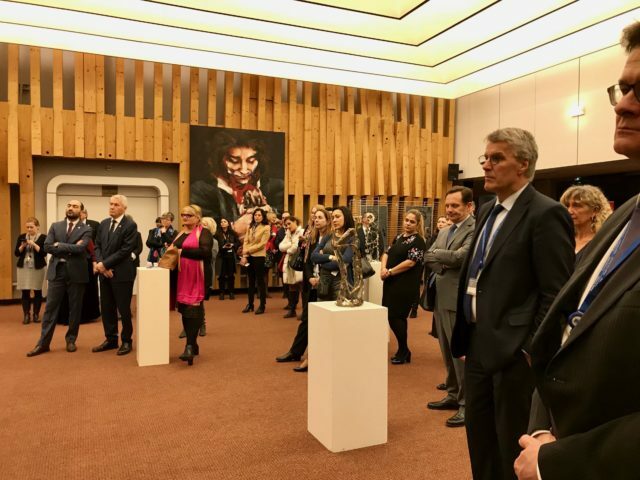 The exhibition included artworks of renowned Romani artists: Damian Le Bas, Delaine Le Bas, Daniel Baker, Gabi Jimenez, George Vasilescu, Gerard Gartner, Imrich Tomas, Lita Cabellut, Małgorzata Mirga-Tas, Manolo Gomez Romero and Ceija Stojka. 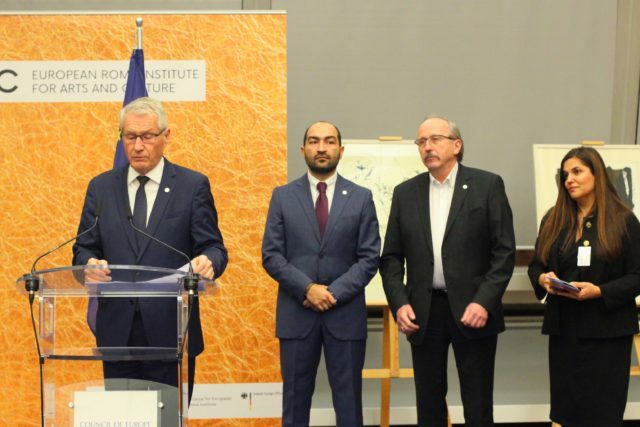 The event, attended by representatives of the Council of Europe and the European Parliament, included speeches by Thorbjorn Jagland, the Secretary General of the Council of Europe, Péter Niedermüller, the Member of the European Parliament, Zeljko Jovanovic, the Director of the Roma Initiatives Office of the OSF, and Timea Junghuas, the Executive Director of ERIAC. 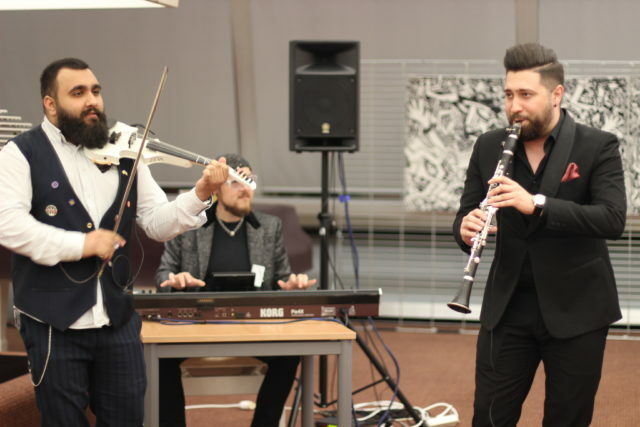 The opening of the exhibition was accompanied by the music of the Saraiman Fusion Band from Bucharest.